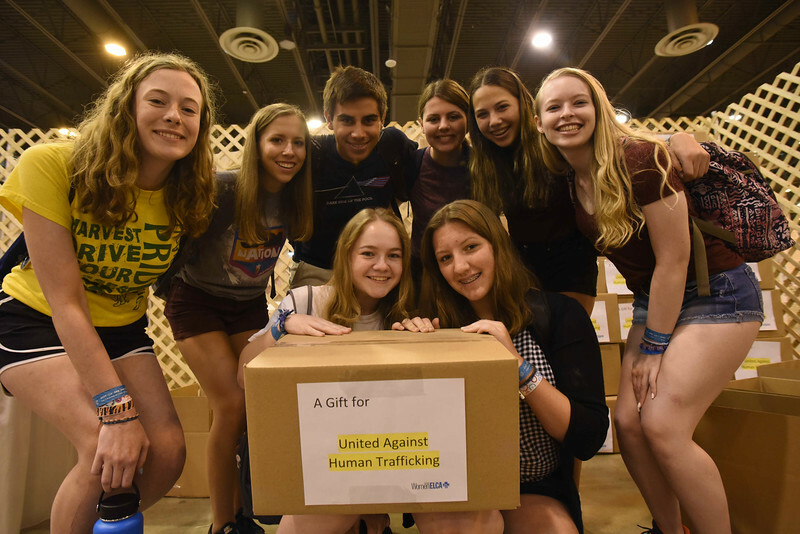 WELCA @ 2018 ELCA Youth Gathering | This group poses with the last box that completes 2,005 hygiene kits that will be donated to United Against Human Trafficking. Front row: Alexandra Kolodziejczyk and Samantha Ekhart. Back row: Isabella Markel, Amanda Niemeler, Raymond Scribano, Leah Pengiel, Sophia Scribano and Caroline Huttner.